Bullying at work is a serious problem for many people today. Anyone who has ever been bullied will know how demoralising and difficult it can be, and at times it can seem as if there is no escape. Covering everything from understanding why bullies behave as they do, to standing up for yourself and knowing your rights at work, Survive Bullying can help you make the best of a challenging situation . Whether you are being bullied yourself or want to help a victim of bullying, this book is full of essential information that can help everyone move on with their lives. This book features a quiz, step-by-step guidance and action points, lists of common mistakes and how to avoid them, top tips, and lists of handy weblinks and further reading. 'A jazzy, upfront and contemporary looking series. Each one is focused and full of the things that it should have. Put these on the shelf and they will shout "buy me".' The Bookseller. 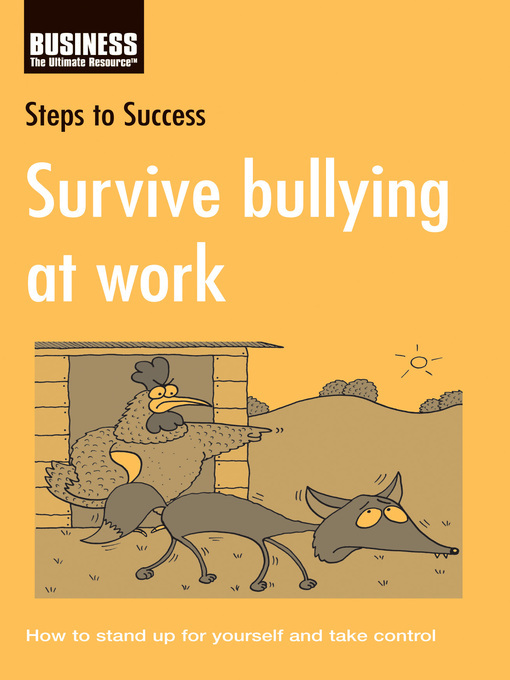 With advice on understanding why bullies behave as they do, standing up for yourself and knowing your rights at work, this book can help you make the best of a challenging situation. Whether you are being bullied yourself or want to help a victim of bullying, this book contains information that can help everyone move on with their lives. A freelance life coach, author and HR specialist, Lorenza Clifford balances running her business (Coachange Ltd) with bringing up three small children. She has written several books, including Survive bullying at work and Interview others. Lorenza has a Masters degree in Occupational Psychology, a coaching qualification and over a decade of coaching experience. She has worked with blue-chip clients to help them to tap into their potential, improving their performance on the job. She has also used her skills to help individuals deploy their strengths more effectively, achieve their goals more efficiently and feel satisfied in their lives. Bang up-to-date, tackling many of the key issues that affect our life at work today An accessible, practical guide-easy and quick to read Also available in an eyecatching Steps to Success counterpack Over 70,000 copies sold of the series so far Interactive quizzes and online advice available from www.acblack.com.